Explore St. Louis Cemetery #1 and stand in front of the infamous Voodoo Queen, Marie Laveau’s tomb. Walk the historic streets of the French Quarter, one of the most unique and historic cultural epicenters of the country. In the company of our expert guides, you’ll make your way to St. Louis Cemetery #1, site of the infamous Marie Laveau’s tomb. We’ll take you back in time through 300 years of history, and bring to life the most surprising and fascinating stories that led to the present-day New Orleans we know and love. 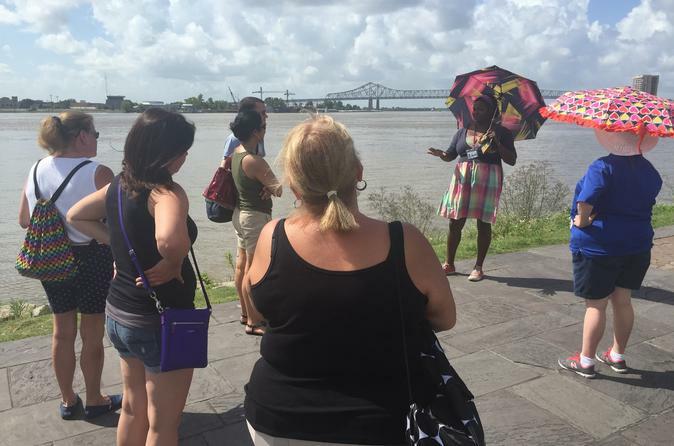 Learn the rich history that led to present-day Jackson Square. See examples of the many architectural styles and features of iconic New Orleans homes.